Militias’ spiritual leader killed in Benue – Royal Times of Nigeria. He was killed by the military in a operation at Tor-Dunga town in Katsina-Ala Local Government Area (LGA) of Benue State. 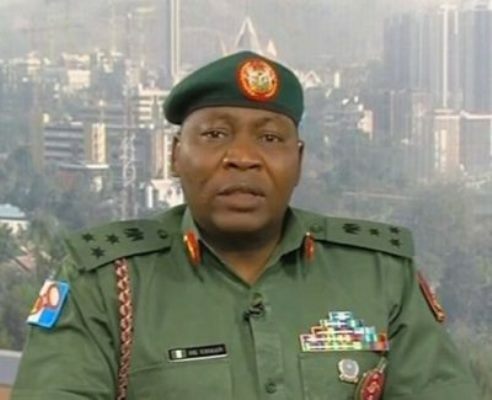 The Director of Army Public Relations, Brig.-Gen. Sani Kukasheka Usman, confirmed in a statement issued on Wednesday. The suspect was also accused of providing spiritual support to wanted notorious criminal suspect, Akwazar Terwase, also known as Gana. “Preliminary investigation shows that Mr Tordue Gber (Tiv Swem) acts as spiritual counsellor that provides Gana with “diabolical” powers. “The shrine serves as hideout for wanted armed militia, meeting and planning point for operations and logistics base for the criminal armed militias that operate in Benue, Nasarawa and Taraba States,” Usman said. Troops of 707 Special Forces Brigade arrested Tordue on Monday following a raid of his shrine in the state, he explained. He was arrested along with one Atoo Kuwe Francis – suspected to be his accomplice – while reportedly planning to carry out an attack and abduct one Zaya at Tse Bente village in the same local government. Items recovered by troops during the operation include a locally fabricated pistol, two Baretta pistols, 11 rounds of 9mm ammunition, three motorcycles, and assorted charms. Also retrieved at the hideout are warm clothing for concealing weapons, two mobile telephones and three generators amongst other items.